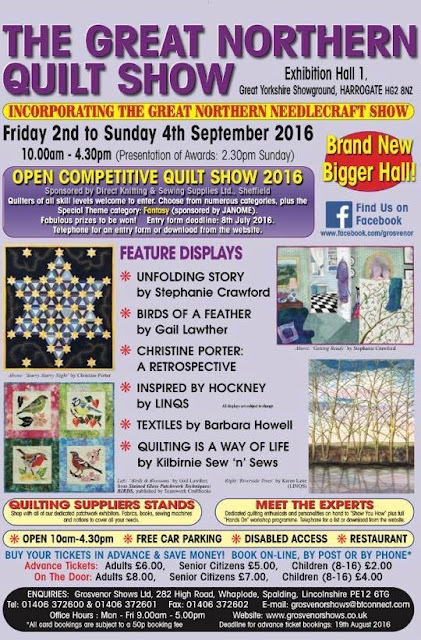 As I may have mentioned recently, Sewmotion will be at this year's Great Northern Quilt Show in Harrogate, 2nd-4th September! This is a wonderful 3-day event incorporates the Great Northern Needlecraft Show, so there is sure to be something for every crafter. 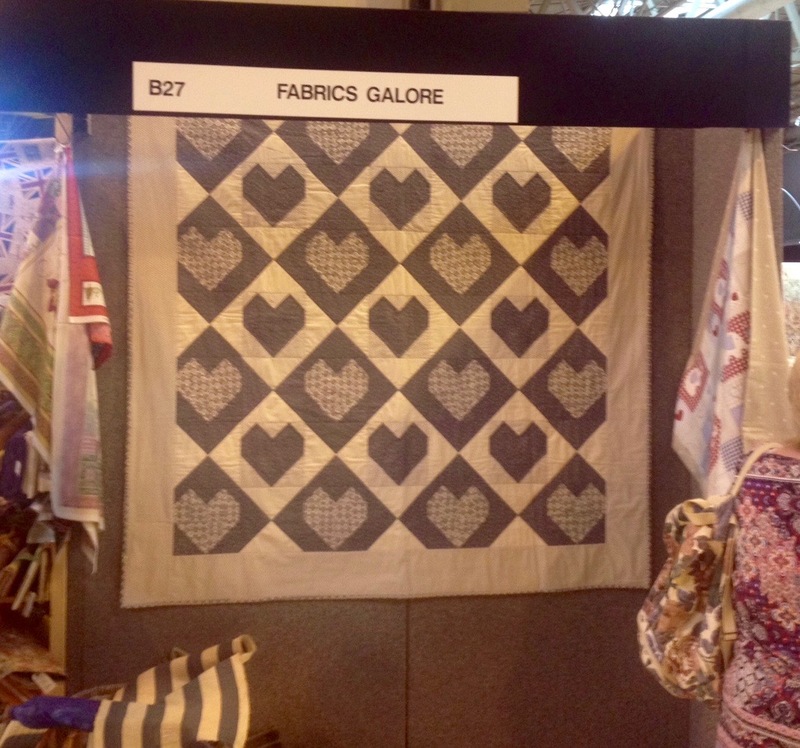 As well as workshops and demonstrations, there will be a display of beautiful quilts to admire and inspire, and of course lots of supplier's stands to meet your creative retail therapy needs. I will be selling my collection of pre-cut quilt and cushion kits as well as the gorgeous pre-cut packs I make up from my curated collection of designer fabrics, including Riley Blake, Karen Lewis Textiles' Blueberry Park, Kona Solids and Dashwood. There will also be the chance to learn more about my Pre-Cut Party to which you can subscribe and receive a free pattern every month straight to your inbox. You can click here to learn more about the show and ticket prices, and I look forward to seeing you there! While I am away, I will be keeping my Sewmotion, Folksy and Etsy shops open, but will not be posting anything out until Monday 29th August. Another year, another Festival of Quilts over, I can’t believe this was my seventh working for Doughty’s! I had a fantastic time working with some old friends, and saying Hi to familiar faces…. Though don’t get me wrong, setting up five stands, trading for four days, and then doing Sunday breakdown is very hard work – you can read about the prep, sweat and tears involved to putting on such a big show in my post from last year here. 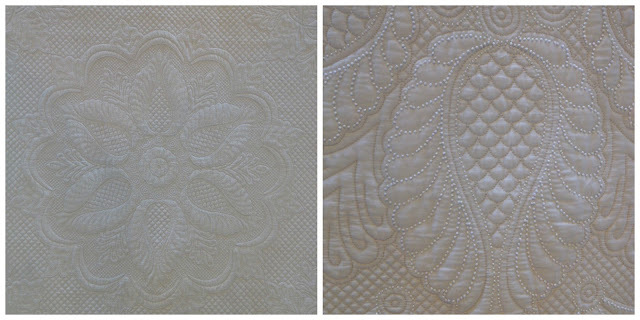 As ever, I didn’t get much chance to look at the quilts, I just managed to snap a few that caught my eye on my travels, including this EPP masterpiece, isn’t it stunning! You’ll have to forgive me for not noting all of the makers’ names. 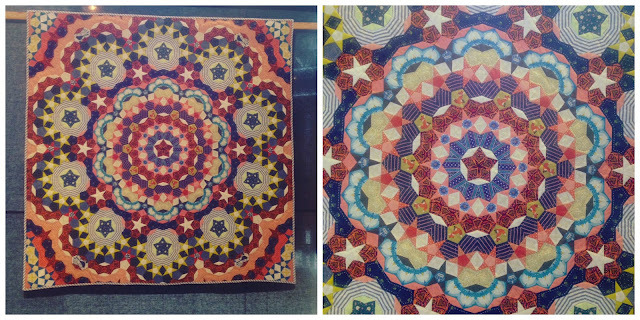 Another amazing creation was this one made from teeny EPP hexagons – absolutely beautiful! I somehow managed to miss most of the new section of Modern quilts, though the winning quilt below, Office Doodle 1 by Sarah Humphreys is beautiful! For a more thorough round-up of the modern quilts that featured this year, check out Jo Avery’s blog post at My Bear Paw. A style of quilting that has always amazed me by the amount of work and planning involved has been the wholecloth quilt, and this year didn’t disappoint. The winner of the Traditional Quilt category and overall Best in Show, was Sandy Chandler with this beautiful quilt called Infinity – apologies for the picture quality, I have an old phone! 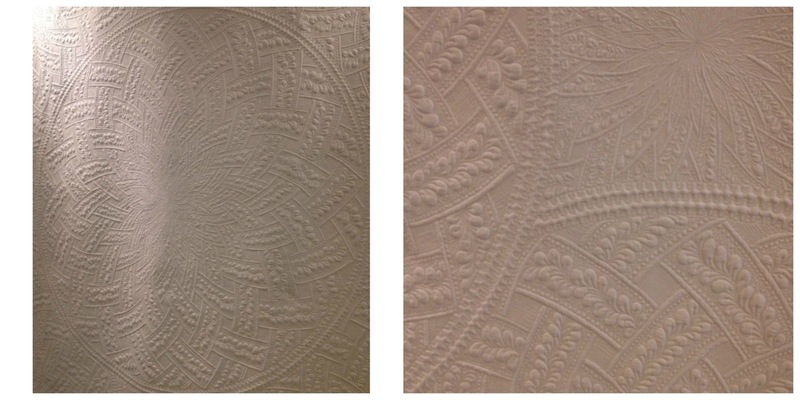 The winner’s of this year’s Visitor’s Choice award was another stunning wholecloth, Pearl Princess by the enormously talented hand quilter Sandy Lush, the stitching and beading is just exquisite! One quilt that did make me laugh was on Fabric Galore's stand - in full view of people walking in, was my Scandi Heart quilt that I made for John Louden - I can now say I had a quilt at the Festival of quilts! Haha!! 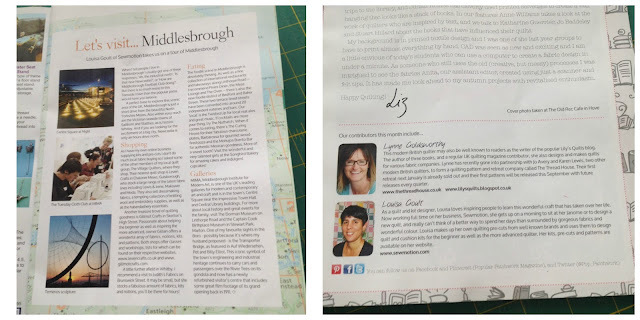 While wolfing down my lunch one day before joining the loo queue, I managed to meet the lovely Liz Betts, editor of Popular Patchwork, who kindly gave me a copy of their latest edition featuring my Let’s Visit Middlesbrough article. It’s always great to see your own writing in print, and I was even more chuffed to see my contributor pic next to the amazing Lynne Goldsworthy of Lily’s Quilts! This is the September issue, which should be out now. Back at Sewmotion, I’m desperately fighting my aching bones to get as much prep done for the Great Northern Quilt Show as possible, before we nip off to the sun for a week – I've been promised a week of lounging, resting and eating with not a bicycle in sight! At the show in Harrogate, (2nd-4th Sept) I will have my range of pre-cut quilt and cushion kits, as well as a growing collection of quilting pre-cuts. Need ideas and inspiration for these gorgeous pre-cut packs? 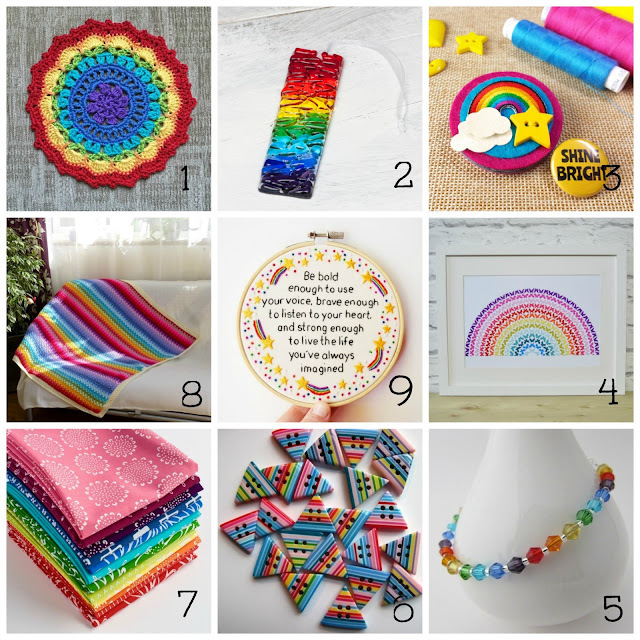 Why not subscribe to my Newsletter and get a free pattern every month straight to your inbox? 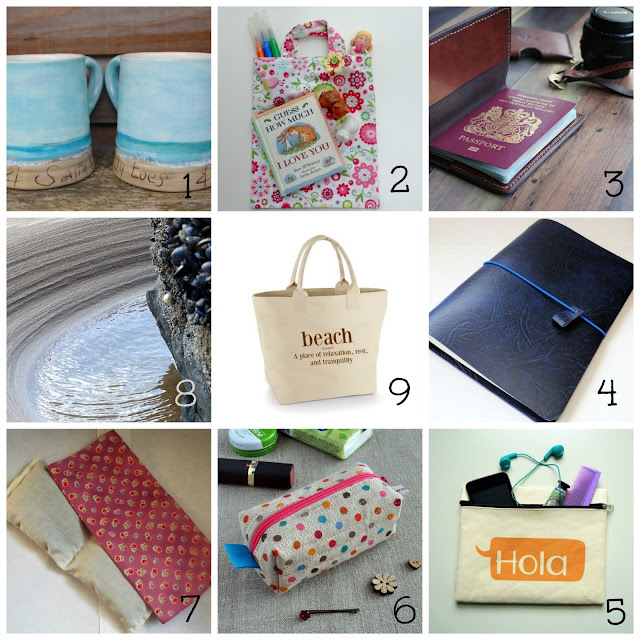 As well as quilts and cushions, there will be smaller items such as bags and purses, plus free turorials on cutting and stretching those precious pre-cut pieces. Click below to sign up. 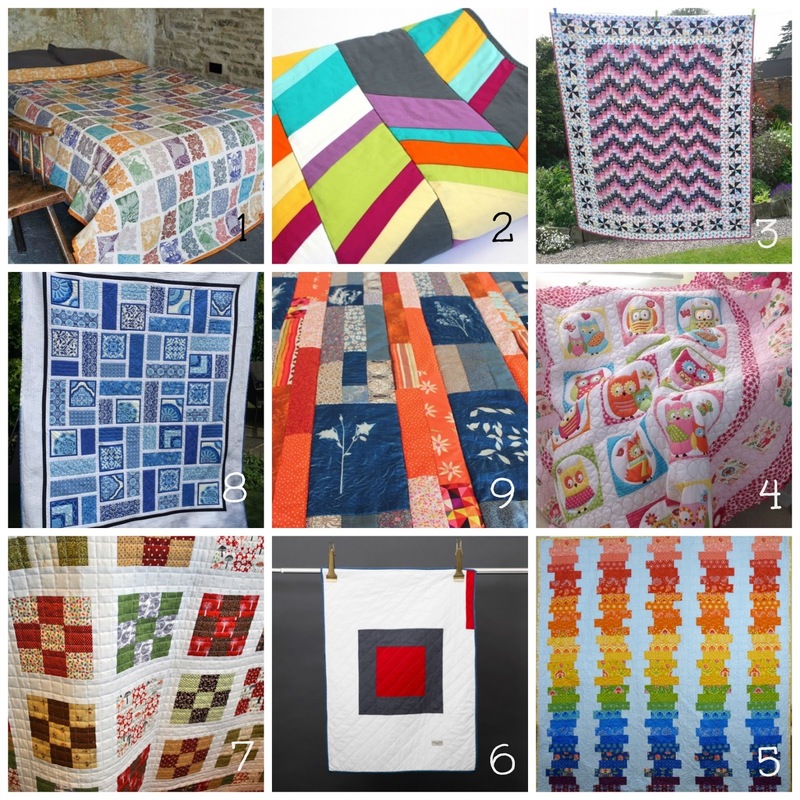 Looking for more quilty fun and inspiration? Why not go visit these linky parties and say Hi!